Die cut holes fit most standard registers. 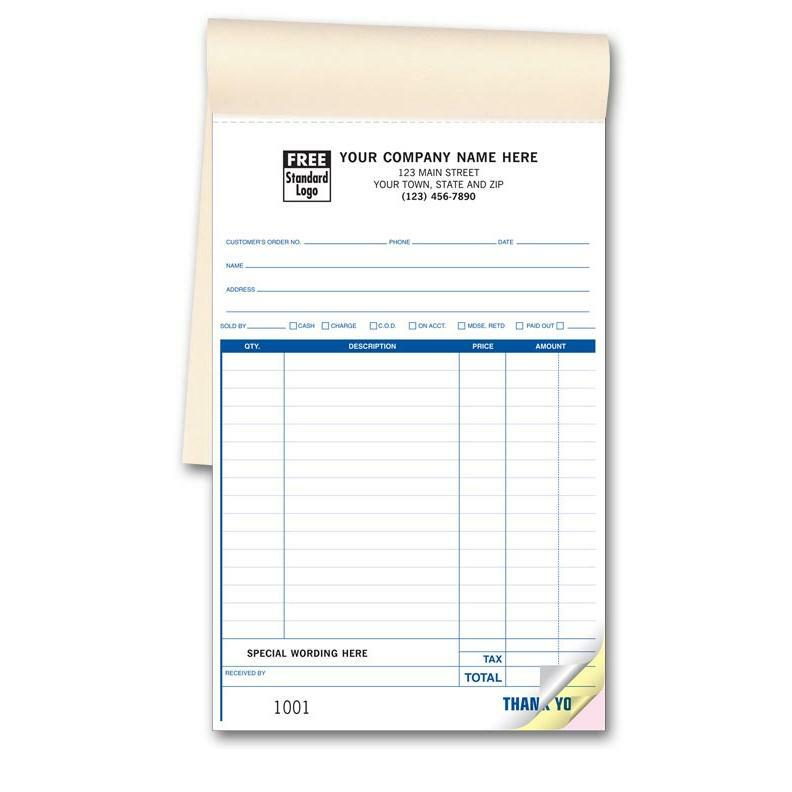 Small businesses need some form of receipt to give to their custom after a sale. 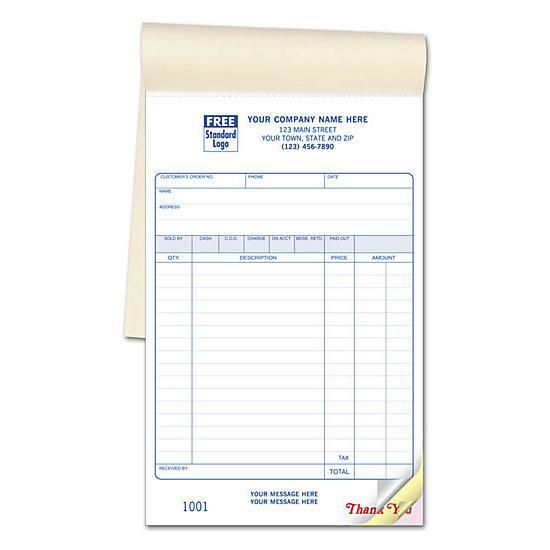 Carbonless receipt books provide an easy way to quickly write up the details of a transaction. 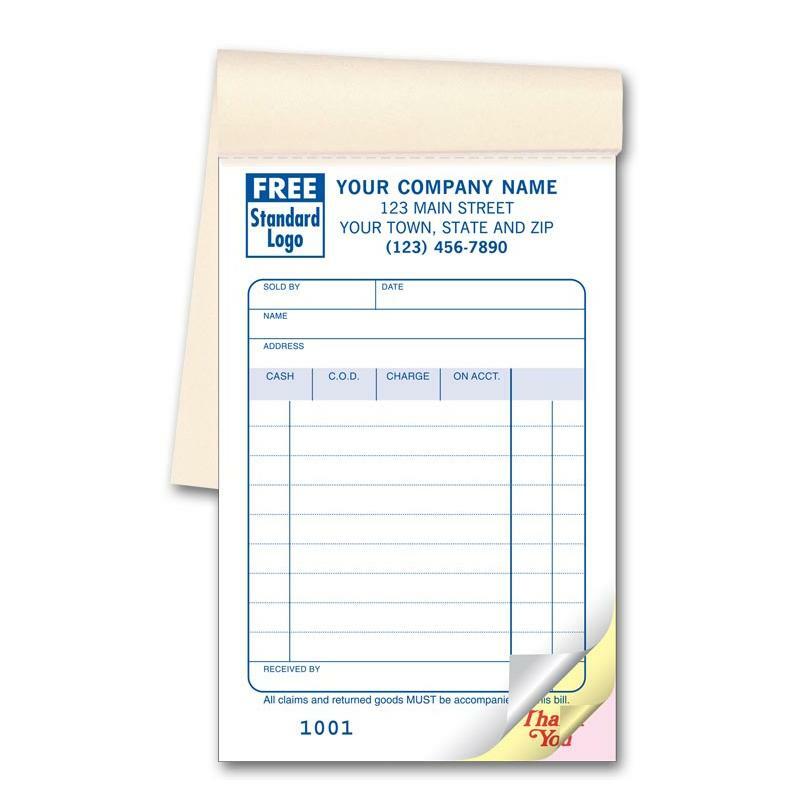 We print them in 2, 3 and 4 part copies with options for numbering, perforations and other forms of customizations. 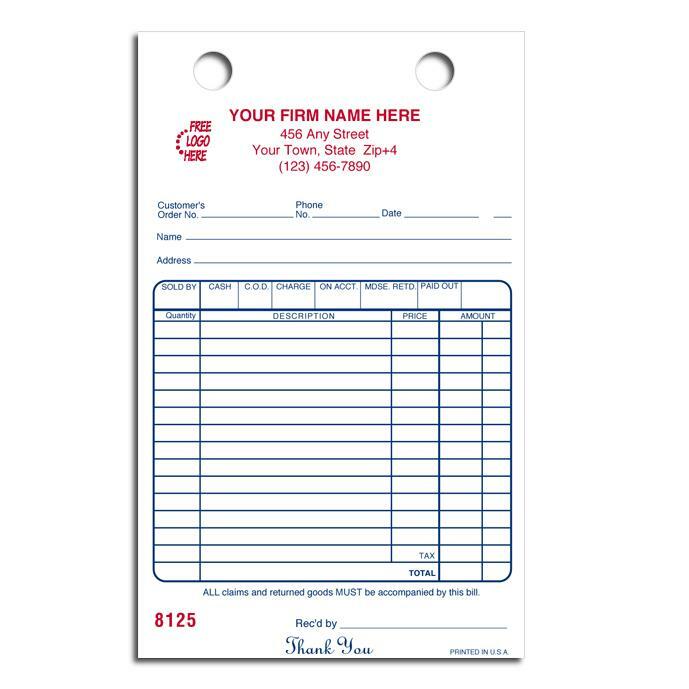 We can typeset a whole new custom form for you, give us a call at 1-800-492-1218.